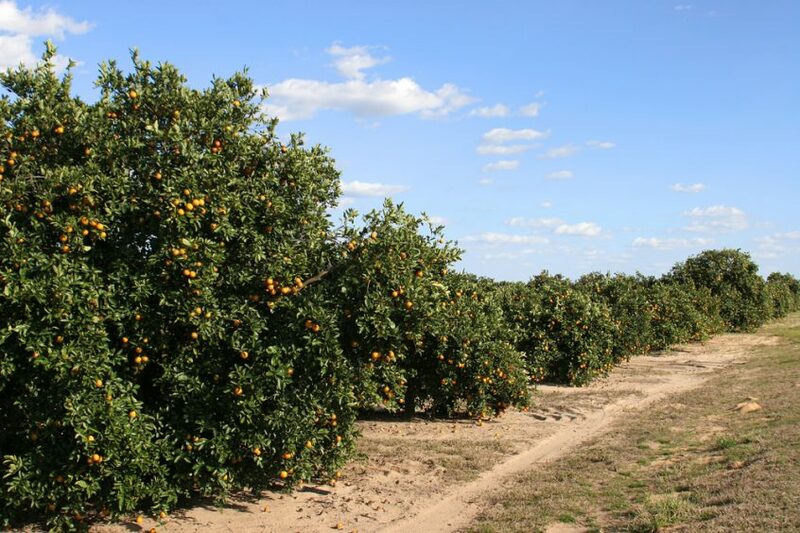 The 2017-2018 Florida all-orange forecast released on April 10 by the U.S. Department of Agriculture (USDA) National Agricultural Statistics Service (NASS) is 45 million boxes, unchanged from the March forecast. The total includes 19 million boxes of non-Valencia oranges and 26 million boxes of Valencia oranges. The Row Count survey, conducted March 27-28, showed 99 percent of the early-midseason rows are harvested. Estimated utilization for non-Valencia oranges to April 1, with an allocation for non-certified fruit, is 18.9 million boxes. Final Valencia fruit size is below average, requiring 236 pieces to fill a 90-pound box. Final droppage is above the maximum. The March Row Count survey showed 38 percent of the Valencia rows are harvested. The Florida all-grapefruit forecast of 4 million boxes is 14 percent less than last month. White grapefruit are down 100,000 boxes, and red grapefruit are down 550,000 boxes. The forecast for tangerine and tangelo production is down 110,000 boxes to 770,000 boxes. This represents a 13 percent decline. The forecast for California oranges is unchanged. However, the Texas orange forecast, at 2.11 million boxes (90,000 tons), is up 15 percent from the previous forecast and up 54 percent from last season’s final utilization. Mark your calendar! The May 2018 USDA Citrus Crop Forecast will be on Thursday, May 10, 2018, at approximately 12 noon Eastern Daylight Time/9:00 a.m. Pacific Time. You will be able to tune in and hear the numbers as they are given by Mark Hudson from USDA/NASS headquarters in Washington, D.C.